We mourn the passing of our Partner, Ken Feldman in October 2012. He was born and raised in Tenafly, New Jersey. 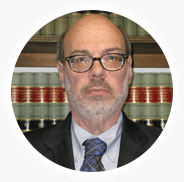 He lived in Fort Lee, New Jersey, for over 30 years after receiving his undergraduate degree from American University and his law degree from University of Dayton. He appeared daily in the Workers’ Compensation courts of New Jersey. He was very active in his local synagogue and was an avid fan of college basketball.